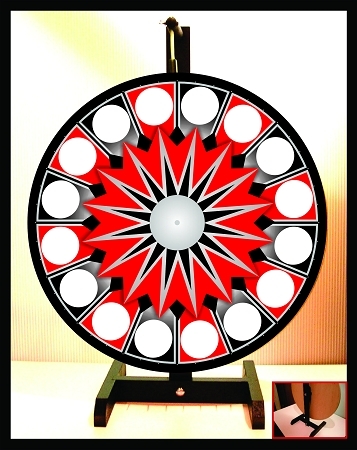 Generic Prize Wheel with Red theme. Melamine wheel face with vinyl trim and dry eraser surface. All wood base with an ebony stain. Detachable base to ship flat. Many uses including trade shows, bazaars, schools, businesses and more!